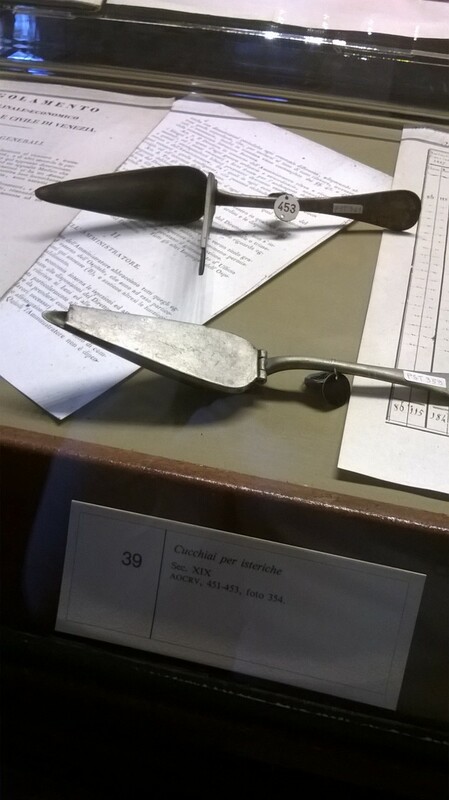 These 19th century spoons can be seen in the Scuola Grande di San Marco and Ospedale Civile SS. Giovanni e Paolo’s historical collection in Venice. They were used to constrain hysterical women to eat as "they often refuse food, pressing their lips together at the spoon’s approach"1. 1. EDWARD SHORTER, Hysteria and catatonia as motor disorders in historical context, Hist Psychiatry. Dec 2006; 17(68 0 4): 461–468.